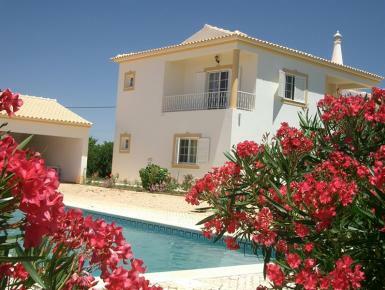 Cheap villas and apartments in Silves, low cost holiday rental properties in Portugal. 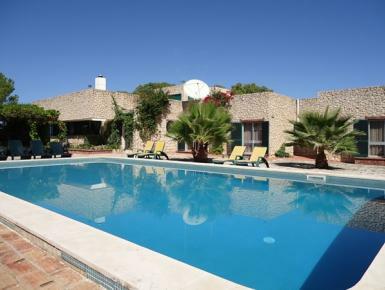 Luxurious 5 bedroomed detached villa, set in large private gardens in a prime location overlooking the town of Silves. Large secluded pool & games room, perfect for a holiday with family or friends. Tranquil 2 bed, 2 bath villa close to Silves and all amenities, bars, restaurants, and a short drive to many Golf courses and Algarve beaches. Perfect for a relaxing holiday with family or friends. Holiday Home for 10 persons, 4 bedrooms, swimming pool, covered terrace situated 3km north of Algoz, 13km from Albufeira and 11 km from the beach Armacao de Pera.